The word “faux” means “false” in French. The principle of “faux painting” is to create something with paint, or other pigments, that resembles something else. 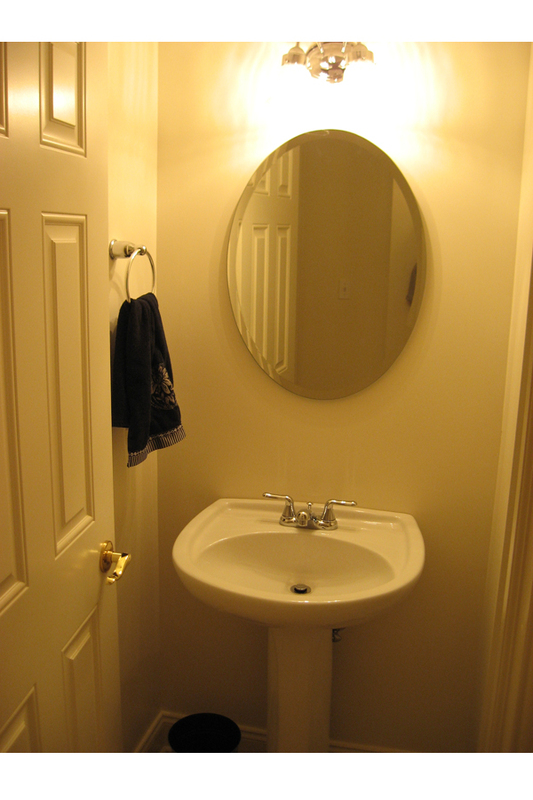 For example, we can create the appearance of marble by painting a piece of wood or plaster with a marble pattern. That marble finish is a “faux finish,” because it’s not actually marble. 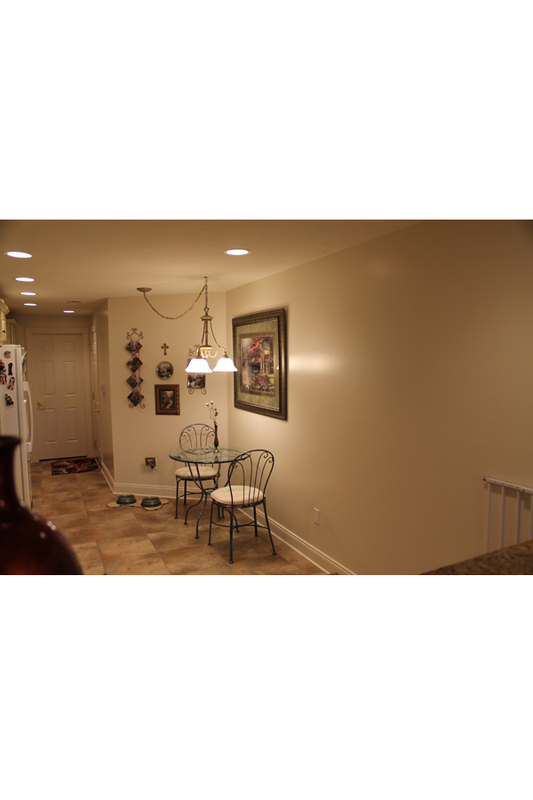 Faux finishes are commonly wall finishes, but they can really be applied to any surface. These faux finishes are called “faux bois,” because they look like wood. (“Bois” is French for “wood.”) Below are standard gray steel doors, a fireplace that had originally been painted white and a gray concrete floor. All have been painted with multiple layers of paint, glaze and lacquer to imitate wood. It doesn’t have to be a true marble pattern to look like marble. 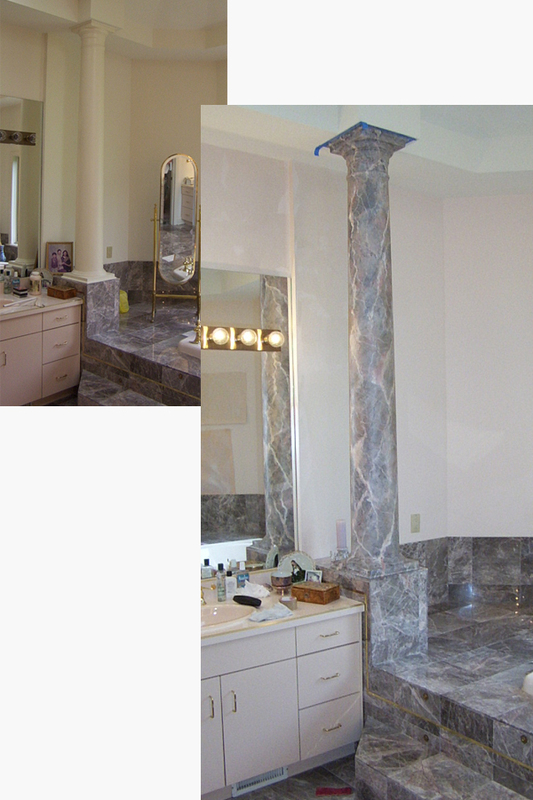 These columns we created to match the colors in the client’s bedroom, not an existing marble pattern. Trompe l’oeil means “deceive the eye.” It is a French faux painting technique that is used to trick you into thinking that a painting is reality. 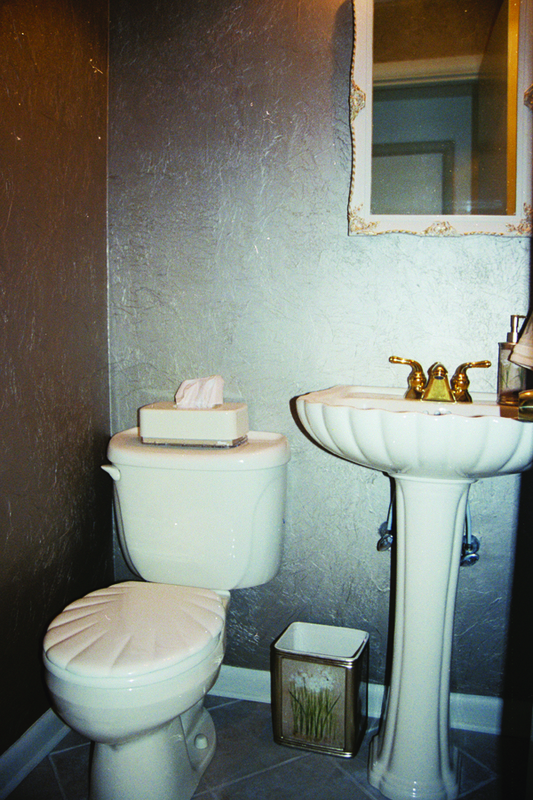 For instance, in this bathroom there is no actual wood chair rail. 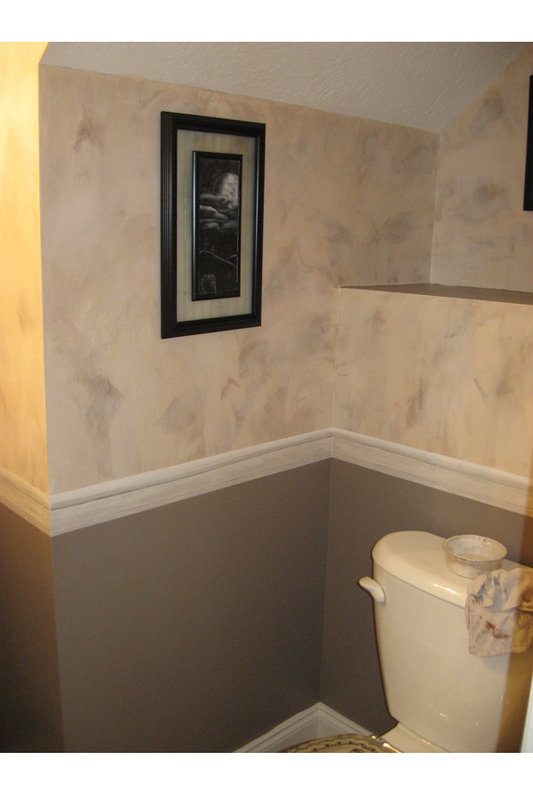 We just painted the wall to look like it’s a three-dimensional chair rail. In addition, the finish above the “chair rail” is two layers of three different colored plasters. 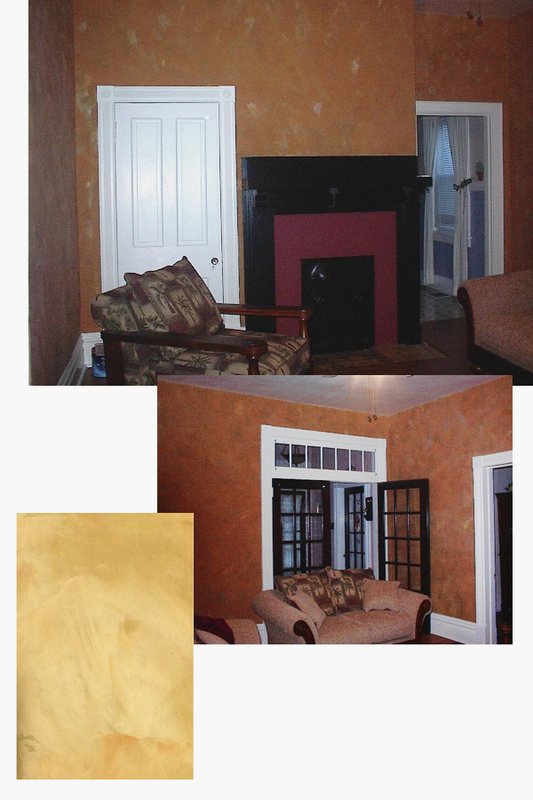 The following wall finishes are actual three dimensional textures. 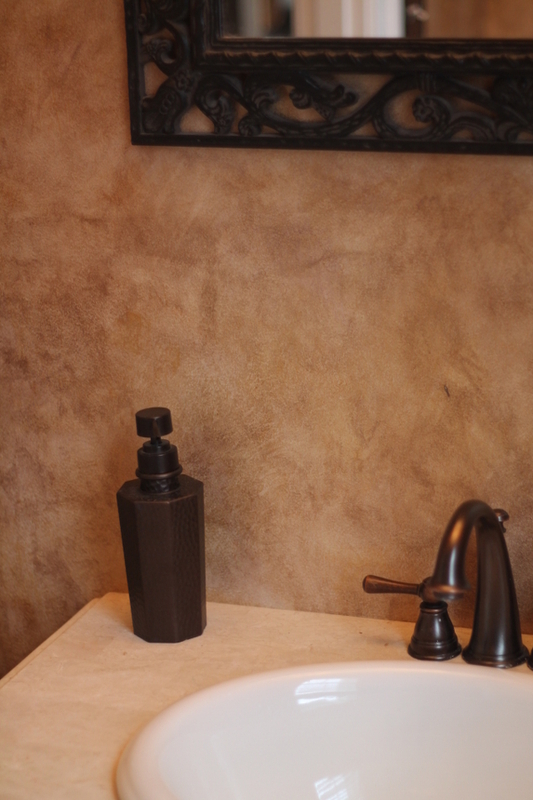 This wall finish is a plaster finish applied to look like an old world plaster—subtly imperfect and smooth to the touch. There are three colors of plaster applied in two different layers. The plaster is then wet sanded and buffed with a tinted wax. 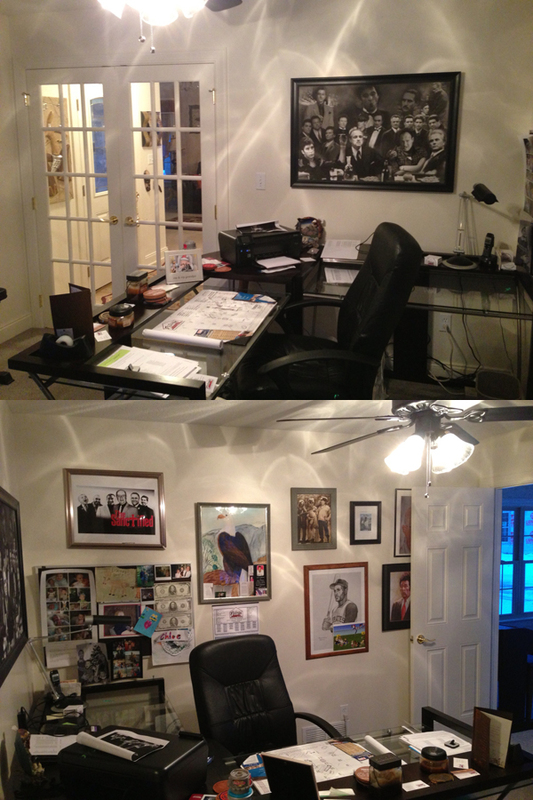 It really warms up a space; makes it look less harsh. This is the same technique and material, but with different tints and no waxed finish. The result is a rougher feel to the surface. This wall finish is a slightly textured finish. 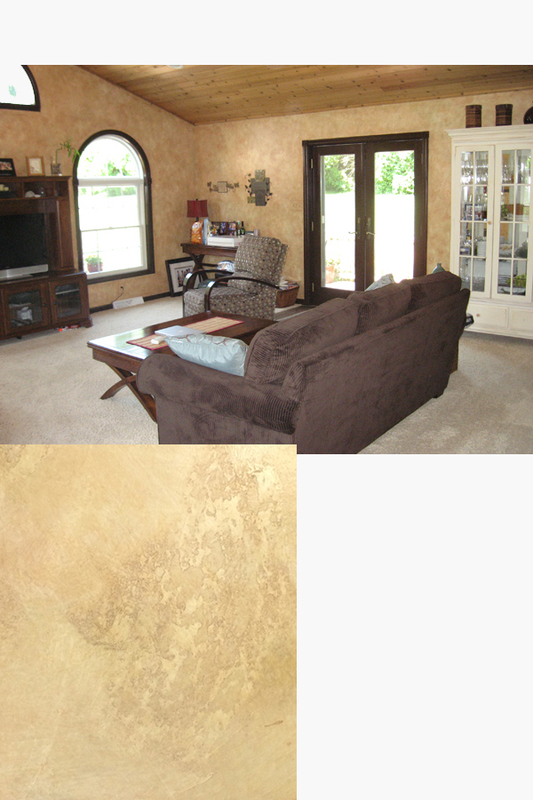 The course texture and the method of application give it the appearance of suede. This look is achieved by embedding tissue paper into the paint. The special paint I use for this technique has a glue-like quality that makes this possible. With the various types of paints and substances available for faux painting today, it’s possible to create deep, layered finishes that actually look like there is a distinct texture to the finish when there isn’t one. Why would you want to do that? First of all, there is the artistic uniqueness that you’ll have to show your guests. Secondly, if you decide to change the finish years from now you only need to paint over it. You won’t have to remove any texture, or work the existing texture into your next design. These examples are displays of multiple layers of glaze (up to 7) and different chemical treatments on each layer. This wall finish is designed to make the walls look as if they are covered in worn denim. Stripes are a great wall to give a unique finish to a room. 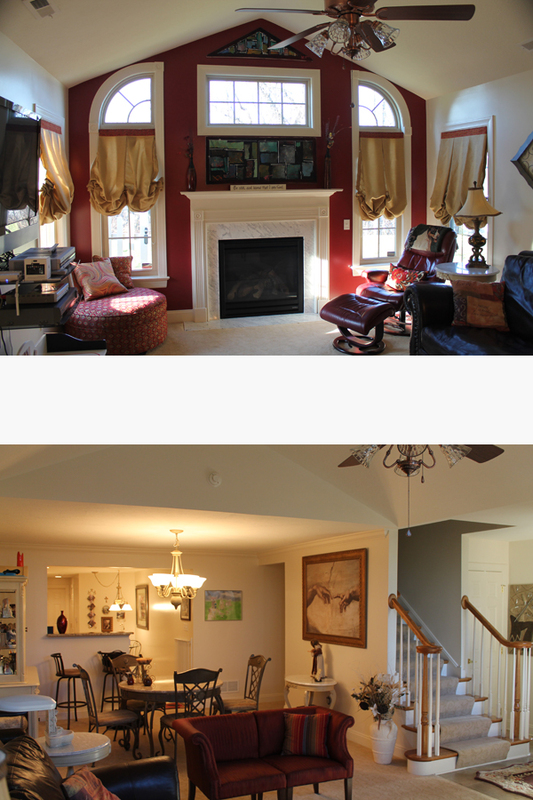 They also add dimension, and depending on whether they are horizontal or vertical, can make a room appear larger. Some of these are abstract designs, some are florals, etc. I’m classifying them all as murals since they are unique to that space. 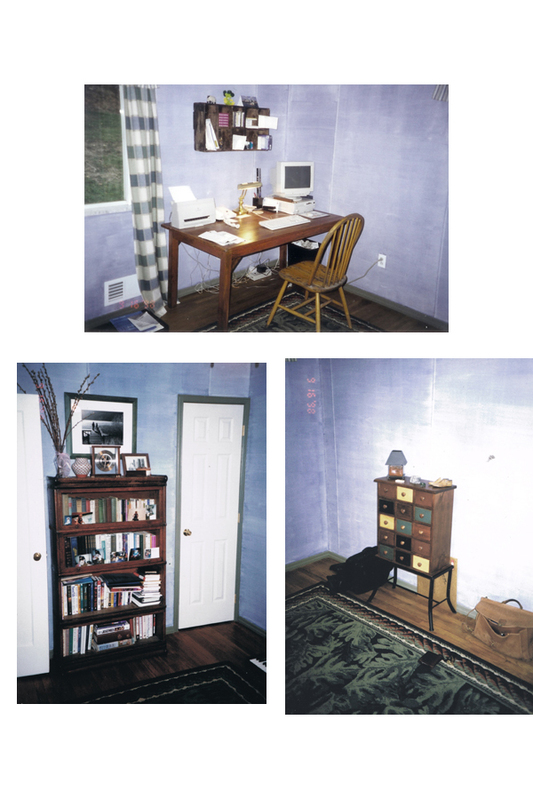 It would take a while to classify all of the faux painting and wall finishes in this portfolio. And quite frankly it doesn’t matter. 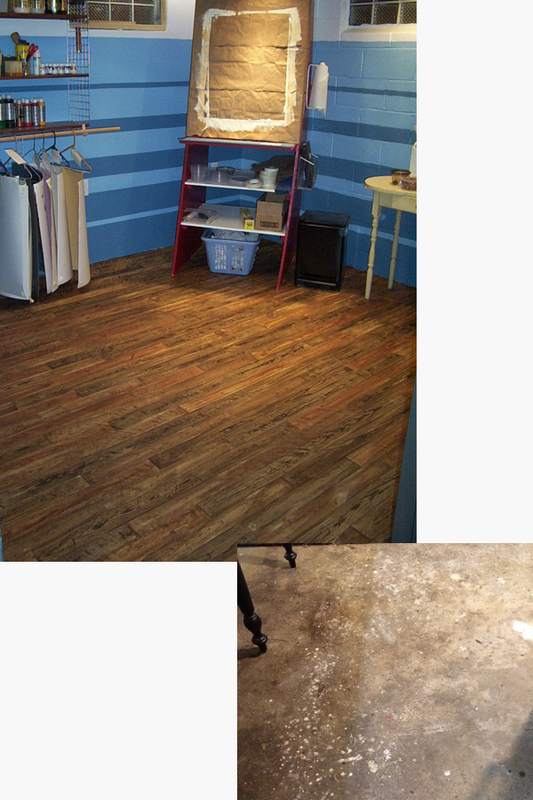 We can use any number of techniques and materials to create a one of a kind finish for your interior project. The finishes below are combinations of techniques, or techniques that didn’t fit into one of the wall finish categories above. In this master bedroom, we created textured stripes behind the headboard then modeled the finish of the remaining walls off of the client’s vanity. 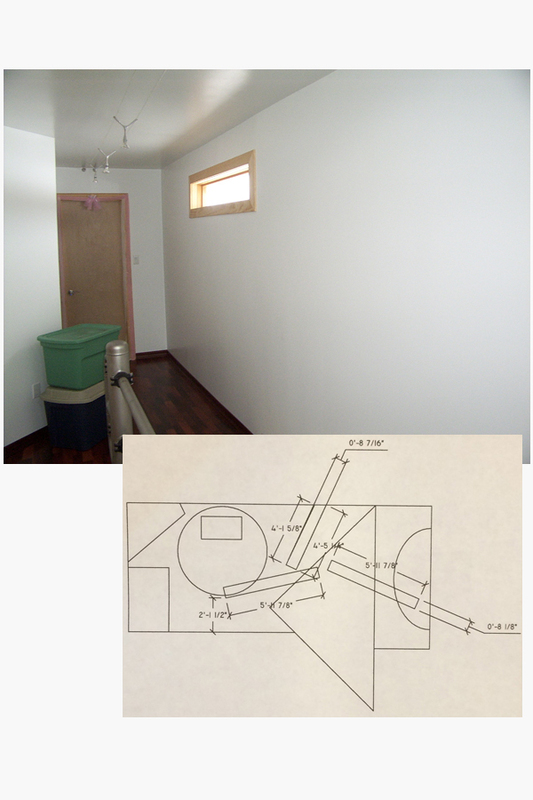 We carried this onto the fan housing, blades and lampshades to pull the room together. 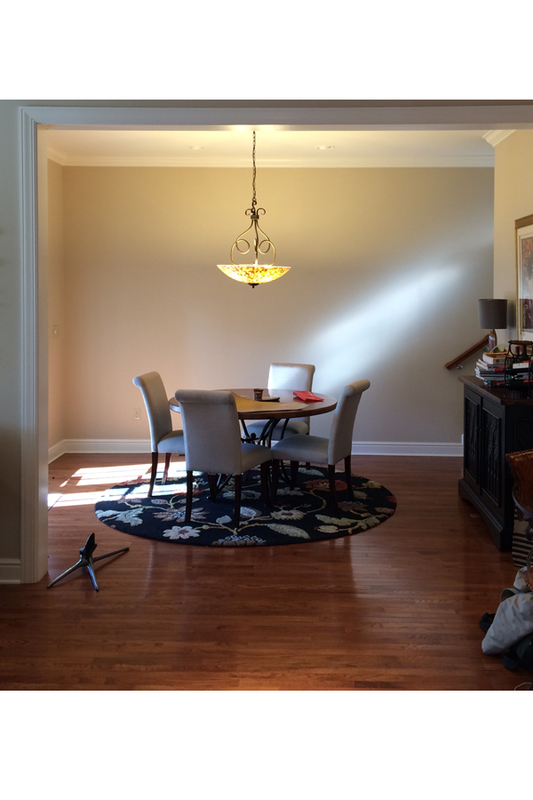 We covered this living room/dining room area with a wall glaze that warmed up the walls and provided a greater depth than just a standard paint. This client has a house from the 1800s. The cabinets were painted in a high gloss white, which didn’t match the period and didn’t accentuate their architectural features. We used a couple of techniques to give them an aged look and emphasis the grooves running through them. We also created new doors and drawer fronts for the cabinets that were missing them along with a custom piece for above the wine cooler. 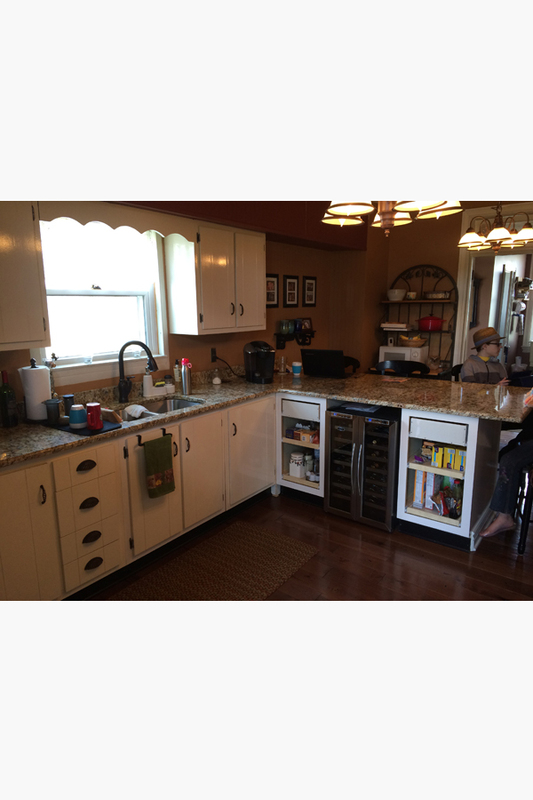 This couple had standard golden oak kitchen cabinets. 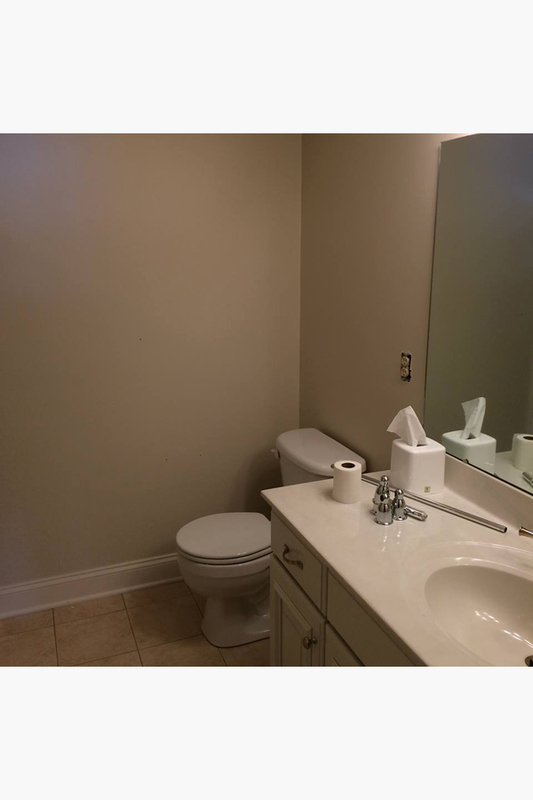 They wanted a new look without replacing the cabinets. 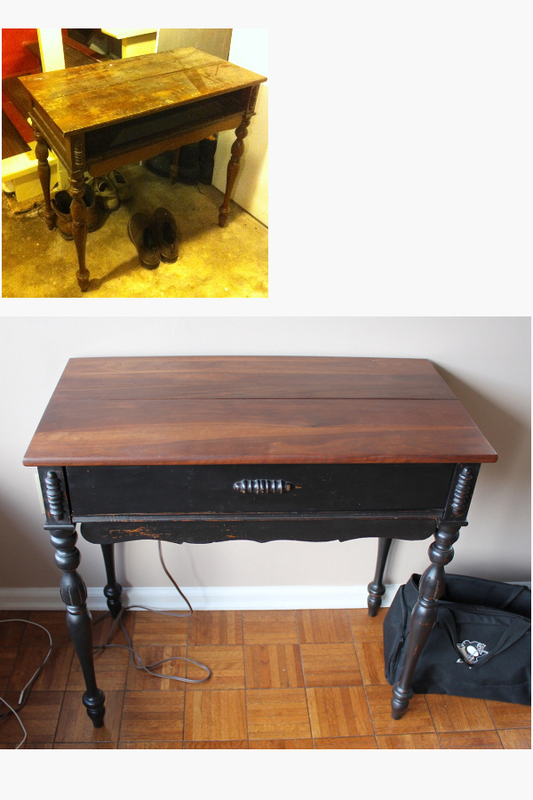 We created an antiqued finish with black paint and wax. Here are some additional custom examples of glazes and random techniques.